The 2019 Samworth Brothers Charity Challenge will take place on June 1st and June 8th 2019. The triathlon style event, which happens every two years, has raised more than £1.9 million for charity over the past decade. At the 2017 event in the Lake District more than 100 teams of four from Samworth Brothers businesses, customers and suppliers participated raising a total of £385,000 for good causes. More than 75 charities benefited from the 2017 event including national charities such as Cancer Research UK, Diabetes UK, Epilepsy Society, Help for Heroes, Macmillan Cancer Support and Muscular Dystrophy UK, plus local charities, close to Samworth Brothers businesses, including Children’s Hospice South West, Merlin MS Centre (Cornwall), Cornwall Air Ambulance, Derbyshire, Leicestershire & Rutland Air Ambulance, Wishes4Kids (Leicestershire), LOROS Hospice (Leicestershire) and Chicks, (Country Holidays for Inner City Kids, South West). The exact location of the 2019 Charity Challenge will be announced closer to the event. However, it will be in the South West of England. 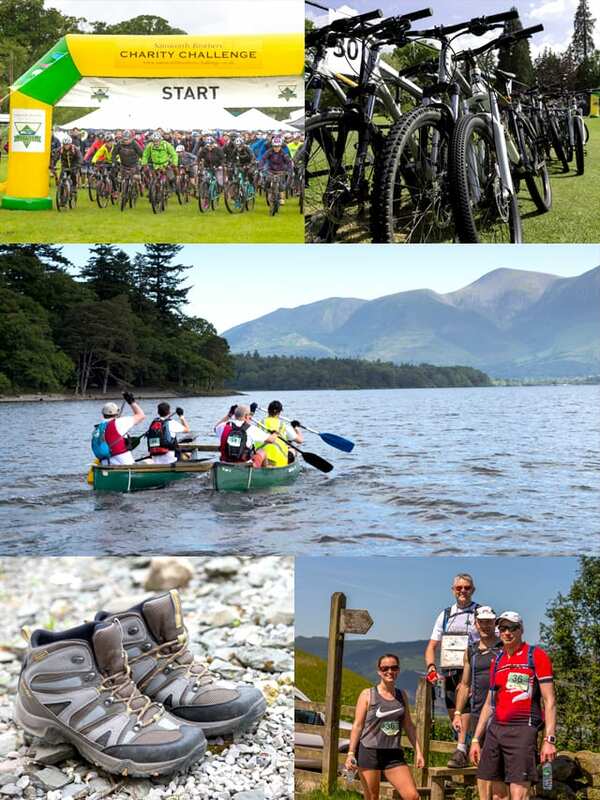 Previous Charity Challenges have taken place in the Lake District, South West, Wales and Scotland. Keep up to date with Charity Challenge news at www.facebook.com/SBCC2019 or our Twitter feed @SBCC2019.